An interview with 2018 NBA draft prospect Emmanuel Akot, a 2017 Arizona commit. Akot is a 6-7 do-it-all forward who can also play the point. His scoring game is sharp and he can score from anywhere on the floor. Coming down the floor his passing ability as a point forward resembles LeBron James. NBA Draft Room rates him as a potential top 20 prospect in the 2018 draft class and the 6th best small forward. He has the potential to move up even more, thanks to his skills and athleticism. NBA Draft Room gives him a Jimmy Butler comparison. LJ: When did you start playing basketball? Emmanuel: I always loved basketball. I would mess around with my friends at the park ever since I was a kid but I never played an actual basketball game until I was 11. LJ: Where were you raised and how has your life been growing up? Emmanuel: I was raised in Winnipeg, Manitoba. Life growing up has been great. I have 2 great parents and 4 wonderful sisters that support me. LJ: How have your parents helped you and been an influence? Emmanuel: My parents work very hard to provide for us. They taught me that you need to work hard in this world. LJ: What made you choose Arizona? Emmanuel: Arizona is one of the best programs in the country. They have a winning tradition and I'm a winner so it was a great fit. They also have a history of sending players to the NBA and I know that I get to compete against some of the best players in the country and that will only bring out the best in me. LJ: No.3 ranked recruiting class by 247, Ira Lee, sharpshooter Brandon Randolph, Alex Barcello, the monster De'Andre Ayton. Have you and this class become close? Emmanuel: We are extremely close. We all relate and bond very well. We're also around each other all the time so we've got to know each other very well. LJ: What are the expectations this year for this team and what has Sean Miller told you about your role this year with Arizona? Emmanuel: I expect to win a lot of games and win a national championship. LJ: You are looked at as a top 2018 NBA draft prospect. Are you considering leaving this year for the NBA? Emmanuel: I will leave when I'm ready to leave. I don't know if it will be this year, next year, or in four years. I just want to be ready when I decide to leave for the NBA. LJ: What's the strongest part of your game? What do you think is the part of the game you need to work on? Emmanuel: I think my ability to be a play-maker. I can score the ball but I'm also really good at finding my teammates and making the correct reads. I'm also good on the defensive end. I need to improve on my post game and pull up jumper. LJ: What NBA team would you love to play for? Emmanuel: I would love to play on any NBA team. I just want to be in the NBA. LJ: NBA Draft Room gives you a Jimmy Butler comparison. Who do you think resembles your game in the NBA? Emmanuel: I get DeMar Derozan a lot because I use a lot of moves and pump fakes to score the ball. I personally don't think I play like anyone. I try to take bits of all the great players in the NBA. LJ: What NBA player would you like to go up against? Emmanuel: LeBron James. He's the best player in the NBA and I want to compete against the best. 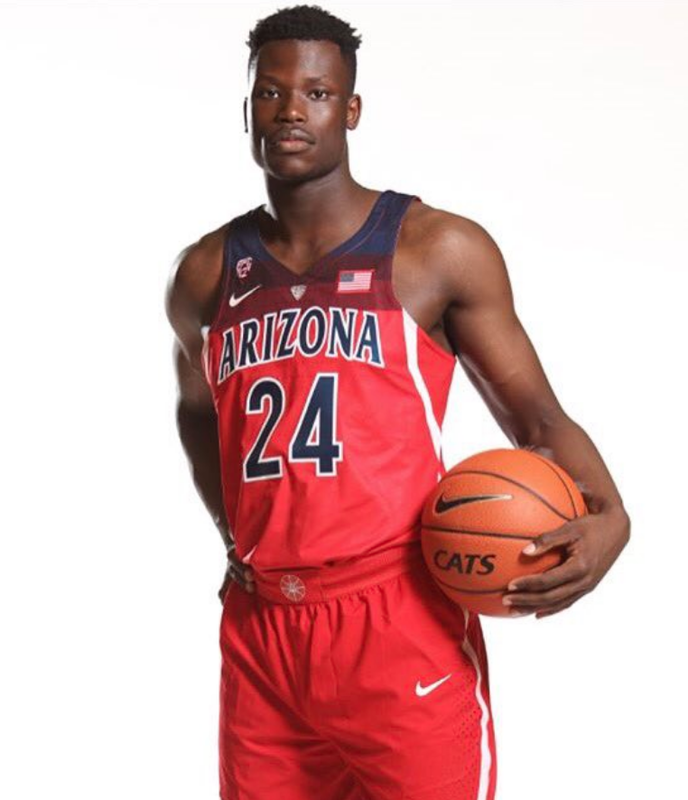 LJ: What will Emmanuel Akot bring to Arizona this season? Emmanuel: I will bring everything. Rebounding, defense, scoring, passing. I will just do anything to win.